For people who refuse to be pigeonholed. Topshop is a British multinational fashion retailer of clothing, shoes, make-up, and accessories. It has around 500 shops worldwide. 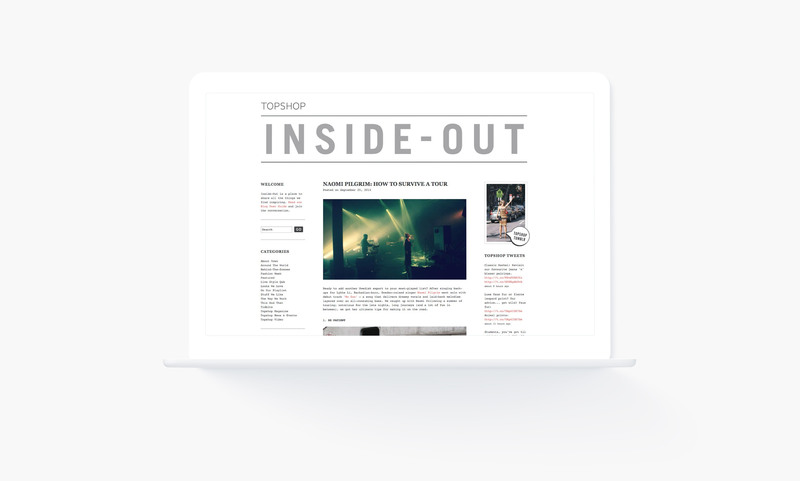 Whilst at Topshop I was asked to redesign the Topshop blog Inside-out. Working with the in-house copywriter we sketched out a few ideas, wire-framed a couple of concepts and developed a final design. As the blog is viewed by thousands of customers it was important to pull in other Topshop content and also push social sharing.